Salmonella, E-Coli, Listeria, Campylobacter are ONLY found in the intestinal tract. 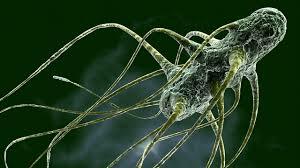 They are ANAEROBIC bacteria, meaning they DO NOT need oxygen to live or survive. So everyone is talking about how to prepare food, handle food, cook food to prevent Food Borne Bacteria from making you and or your family sick. We have a BETTER IDEA !!!!!! Buy food that is NOT contaminated. Novel idea...... see we hand harvest and hand butcher our animals. By doing this we do NOT interrupt nor Damage the intestinal tract of the animal where all of the bacteria lives and exists. By NOT allowing animal poop onto your food to begin with, none of the food borne bacteria is on your food. Unfortunately, clean, safe food is NOT something you can get from your grocery store. The CDC states that Organic meats have an even higher percentage chance of making you sick from a bacterial infection than processed meats from your grocery store. WE, at Premier Foods Group, do not believe you should have to worry about bacteria on your food. Your grandmother did not, this is a new problem and it is PREVENTABLE. Do not buy your meat from a place that allows bacteria to get on your food in the FIRST PLACE !!!! Each year, roughly 1 in 6 people in the United States gets sick from eating contaminated food. Each of those illnesses represents something that went wrong somewhere along the pathway from a farm to our table. Behind these illnesses are familiar culprits (like Salmonella) and causes (like poor food safety practices in farms, factories, restaurants, or homes). Salmonella are bacteria that cause over one million illnesses each year. This “bug” causes more hospitalizations and deaths than any other type of germ found in food and $365 million in direct medical costs each year. At CDC, we’re concerned that Salmonellainfections have not declined in 15 years. So, how does Salmonellasneak into foods, what foods do they get into, and what can be done? How does Salmonella get into foods? Simply put—it gets into food through the poop of animals, such as cows, birds, and mice. Because the natural home for Salmonella bacteria is in the gut of these animals, their poop becomes a carrier of the germ if it gets into food or water. For example, if water used to irrigate a field has animal poop in it, the water can contaminate the food growing in the field. In 1993, a large outbreak of foodborne illness caused by the bacterium Escherichia coli O157:H7 occurred in the western United States. In this outbreak, scientists at CDC performed DNA “fingerprinting” by pulsed-field gel electrophoresis (PFGE) and determined that the strain of E. coli O157:H7 found in patients had the same PFGE pattern as the strain found in hamburger patties served at a large chain of regional fast food restaurants. Prompt recognition of this outbreak and its cause may have prevented an estimated 800 illnesses. As a result, CDC developed standardized PFGE methods and in collaboration with the Association of Public Health Laboratories (APHL), created PulseNet so that scientists at public health laboratories throughout the country could rapidly compare the PFGE patterns of bacteria isolated from ill persons and determine whether they are similar.